Shop vegan and cruelty-free women's deodorant and anti-perspirant. All products in our store are 100% vegan; free of animal-derived materials, ingredients, by-products and testing. 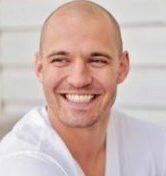 What is women’s “vegan” deodorant and anti-perspirant? The term “vegan” with regard to ladies’ deodorant, simply refers to any odour and perspiration fighting product that’s applied under the arms, that’s made without the use of animal-derived ingredients (for ethical or other reasons). The term “cruelty-free” can also be applied if the deodorant and none of its ingredients are tested on animals. It is referred to as "accidentally" vegan if the product just happens to exclude animal ingredients, rather than intentionally excluding them. What ingredients are used to make these products? There are far too many possible combinations of ingredients used by vegan deodorant companies to list here. In general however, vegan and cruelty free deodorants are composed of plant-sourced and/or plant-derived ingredients that serve various functions, such as fragrance, consistency, sooting irritation, and odour protection. "Plant sourced" vs. "plant-derived": Plant-sourced ingredients are not significantly changed from its natural state, whereas plant-derived ingredients have undergone additional processing, which is done to improve the ingredient’s safety or efficacy. What’s NOT in vegan deodorant: Aside from excluding animal-derived ingredients (such as animal glycerin), many vegan deodorants tend to also leave out artificial colours, fragrances and preservatives (including Aluminum, Parabens and Propylene Glycol). Why buy deodorant/anti-perspirant that’s vegan and cruelty-free? If your ethical compass consistently points to towards animal welfare concerns, then it’s the only way to go! After finding out that rabbits go blind (for example) when exposed to certain ingredients during animal testing, many people have a hard time supporting products that are tested on animals, or buying products whose ingredients are tested on animals. Animal derived or sourced ingredients aren’t needed to create effective deodorants, and animal testing, especially for cosmetic products is abhorrent. Buying vegan and cruelty-free products means you’re supporting products that don’t use ingredients forcefully taken from animals, or forcefully tested on them. If we stick together as consumers and stop buying products that are founded in cruelty, then ultimately they will go away. Is vegan & cruelty-free deodorant expensive? In general, vegan and cruelty-free deodorant is not any more expensive, or any less-expensive, than deodorant that includes animal-derived ingredients and/or tests ingredients on animals. Just like non-vegan deodorant, differences in the quality of the ingredients used, manufacturing processes, and different brand names can make prices can vary from one deodorant stick to the next. Some vegan/cruelty-free deodorants are very affordable, some are quite expensive, and many are somewhere in between. Should I get rid of any non-vegan deodorant that I already own? This is a fairly controversial topic, and one that’s very hotly debated. Regardless of what anyone else says, it’s up to you to decide what to do with your old non-vegan fragrances, and how to replace your personal care products as you become more and more immersed in a vegan and cruelty-free lifestyle; at the end of the day only you can decide what you can afford, and what you’re comfortable wearing. If you’re wondering what options you have, you could give your old perfumes away to friends or family, or you could keep wearing them until they’ve expired, or otherwise outlived their usefulness. 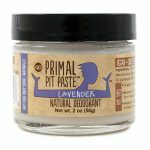 What companies make vegan/cruelty-free deodorant for women? We keep an ever-growing list of companies that we find, or that are suggested to us, whose entire line of women’s deodorant seems to be completely animal-friendly (vegan AND cruelty-free). We contact each of these companies to inquire as to what products, if any, use animal-derived or sourced ingredients, or have ingredients that are tested on animals. 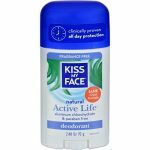 If they assure us that the deodorants they produce are cruelty-free and suitable for vegans, and they can be bought on Amazon, then we list those products here for your shopping convenience. If you or your employer makes ladies’ vegan and cruelty-free deodorant, antiperspirant, or any other vegan and cruelty-free product for that matter, we’d love to feature you and your products on our site... at no cost! Contact us at - info(at)getitvegan(dot)com - to find out more!